When it came time to prepare his remarks for Upstate University Hospital’s National Donate Life Month celebration, Dr. Vaughn Whittaker wanted to do something a bit different. 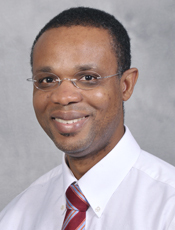 Whittaker, a kidney transplant surgeon, enjoys writing poetry and says he “dabbles in it when he feels the creative urge.” This was one of those times. 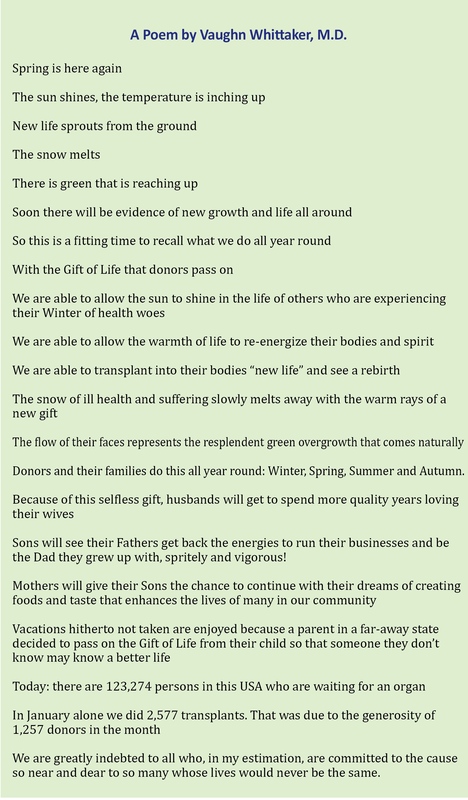 As Dr. Whittaker began to think about Donate Life Month and the connections to celebrating it in April, the idea came to him to show how the power of giving life through the gift of organ donation compares to the renewal of spring. “We all know the numbers and the message is always the same,” Whittaker explained, referring to the disparity between people needing life-saving transplants, the number of organ donors and how to help close that gap through raising awareness. We think you’ll agree, Dr. Whittaker’s heartfelt words are inspiring.